Have you ever wondered just how far youâ€™ve moved your mouse? You might be surprised to know that it doesnâ€™t take long before your mouse has actually moved a couple of miles. 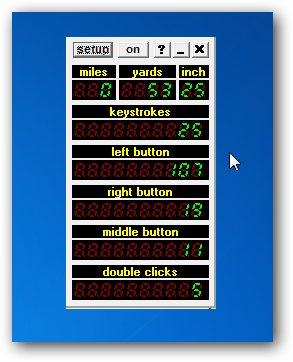 Mousotron is a little application that measures not just how far youâ€™ve moved your mouse, but also your keystrokes, mouse button clicks, and even the scroll wheel usage. It lives in the system tray, but it also has a widget that displays on the desktop. If you head into the setup, you can change the Orientation to Vertical and the Background to No Colors. 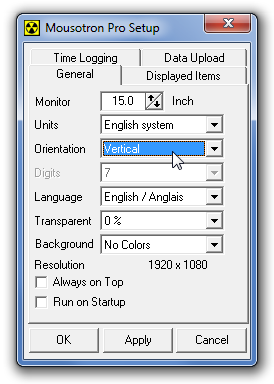 Youâ€™ll want to choose the correct size of your monitor if you want accurate measurements as well. Once youâ€™ve changed those settings, the window is much more pleasant to deal with. And of course, it minimizes right over to the system tray anyway, so no need to have it up and running all the time. while posting thought of sharing this little fun applicationÂ as-well. Ever wondered just how many times you hit a particular key on the keyboard? 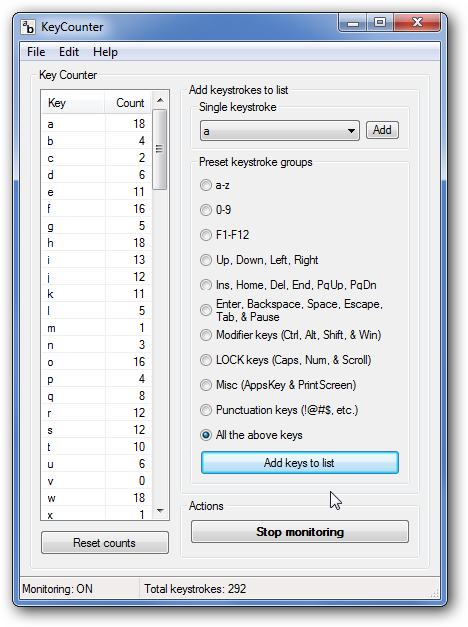 A simple little application called KeyCounter will check exactly which keys you are using, and how many times you are using each one. When you first start up the application, nothing will show up in the left-hand pane. Youâ€™ll have to either choose a single key to monitor, or just choose the â€œAll the above keysâ€ radio button, and the â€œAdd keys to listâ€ button. Must Read: Human vs Technology, who is the servant! Hey expert Blog. It is much valuable Soon you Experienced it. Much supportive. Mahalo.